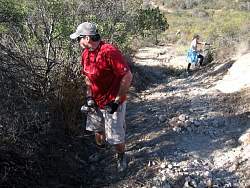 A few days before the event, a few crew leaders scouted the trails to see what work needed to be done. 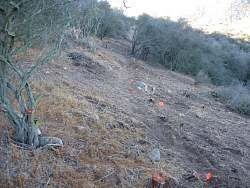 This section was cleared of brush by the rangers. 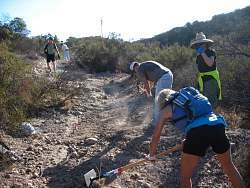 There are a lot of rocks and stumps to remove. 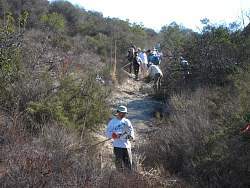 Tying a piece of orange tape to a bush to indicate where the various crews should work. 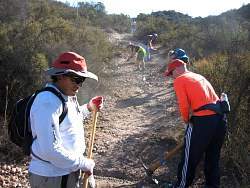 A few days before the event, a few crew leaders scouted the trails to see what work needed to be done. 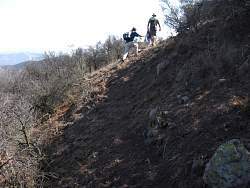 This section was going to be particularly difficult because the cross slope is so steep. 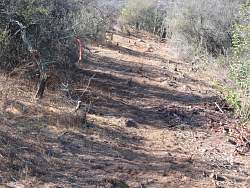 On the day of the event, the regisration desk. 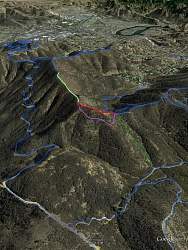 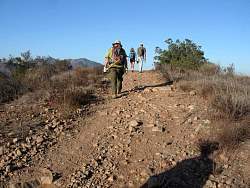 Hiking to the work area on the Conejo Crest Trail. 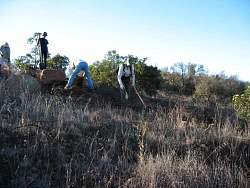 Some crews will be working here to remove the loose surface rocks. 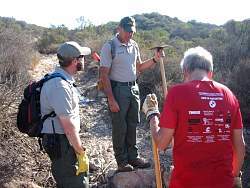 On the new section of trail, the rangers have flagged were the trail will go. 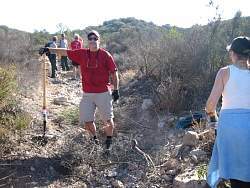 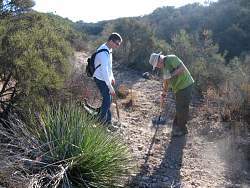 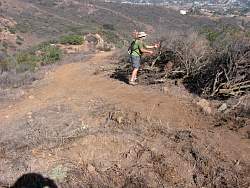 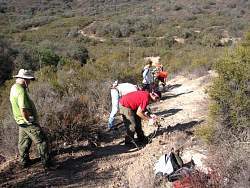 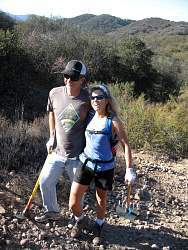 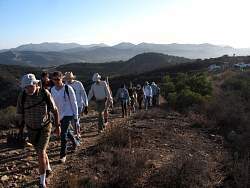 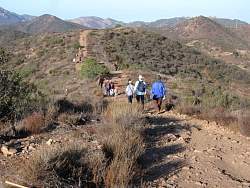 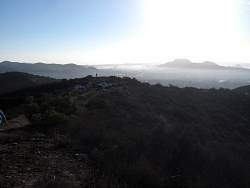 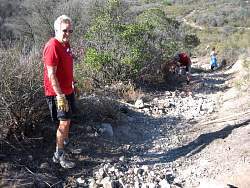 The crew I was with gets to work on a loose, rocky, slightly steep trail that connects the Conejo Ridge Trail to the White Horse Canyon Trail. 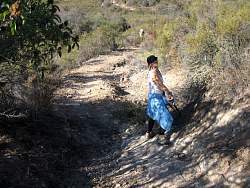 We scraped off loose rocks and built drains so winter rainwater doesn't further erode the trail. 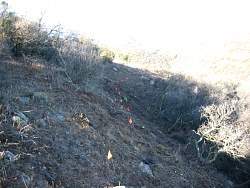 We also cleared overgrowing brush to make it wider. 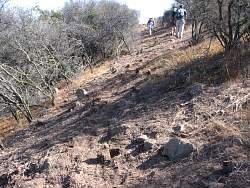 You can see the trail is very rocky!